I am crazy today, just plain crazy. Running around, packing things, making things, waiting for things to dry, thinking to myself "where did this whole damn week go?" 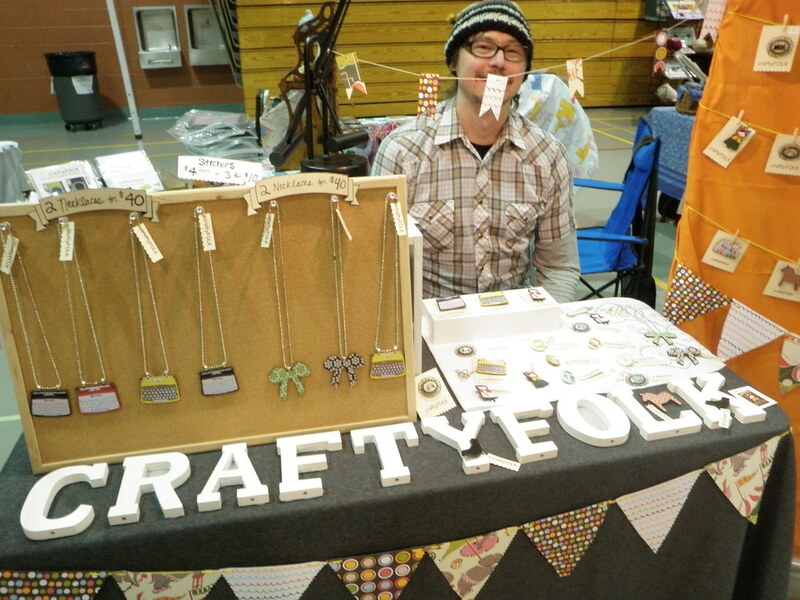 All this madness leads up to the largest craft show I've ever done, and I'm very excited and scared that I'm under prepared for the throngs of shoppers that will run straight to my booth and start opening their pocketbooks for my goods. I've sent the husband to the post office and to get change, so I can varnish, pack, ribbon, cut, hole punch my little heart out. 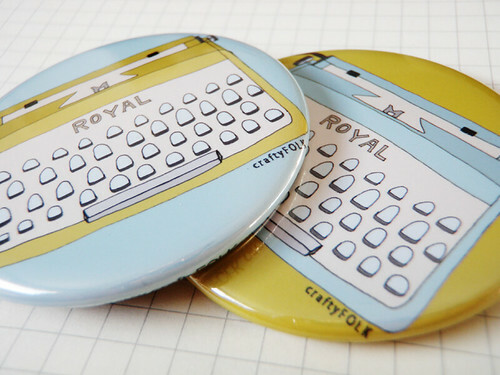 Illustrated Typewriter Magnets now in the shop! 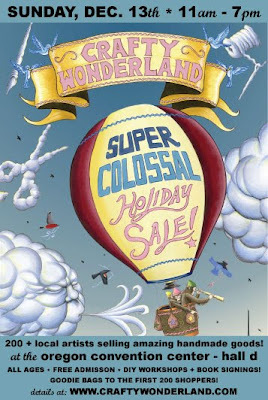 Just in time for Crafty Wonderland and holiday shopping. In the nick of time for some holiday shopping, I introduce my Vintage Leica Camera Pin and Necklace. I like the simplicity of the dark brown body. 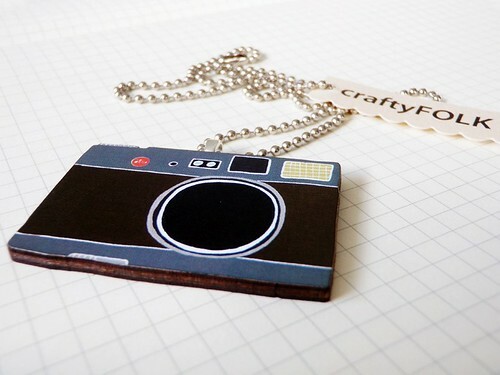 Perfect for those photography lovers, or perhaps just for yourself:) Now available in the shop! As always, feel free to blog, tweet, digg, tell your grandma! 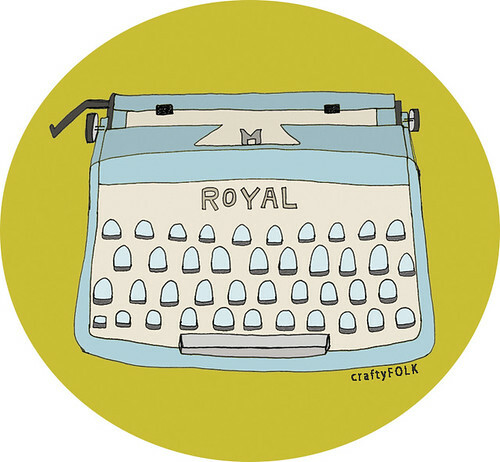 Just sent off the designs to get some typewriter magnets made. I'm enjoying the light blue and mustard color combo. This combo would make great holiday cards, which I completely failed at producing yet another year. Last year, my excuse was a wedding, this year my excuse isn't quite as good. 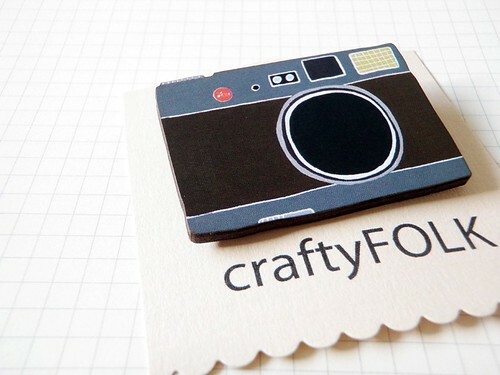 Hopefully I'll receive these in time to test out at Crafty Wonderland on the 13th. If any are left, I'll add them to the shop Monday morning on the 14th. 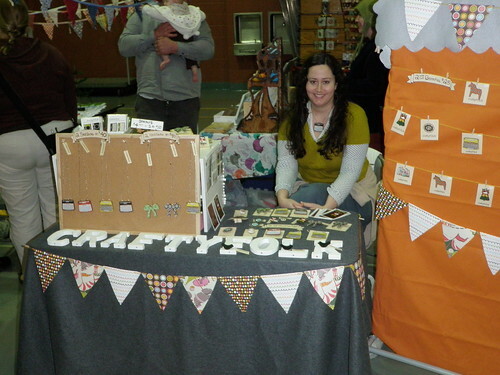 Note: please ignore the slight wonkiness of the craftyfolk logo, I was tired last night and photoshop was not being a good friend. Seriously under caffeinated and tired I am here, I'm a fantastic actor with that smile. Johnny Depp running my booth:) Jacob gets the Johnny comment at least a few times a week. I cut his hair yesterday, so that might hurt his average now. I've put the sticker sets in the shop. 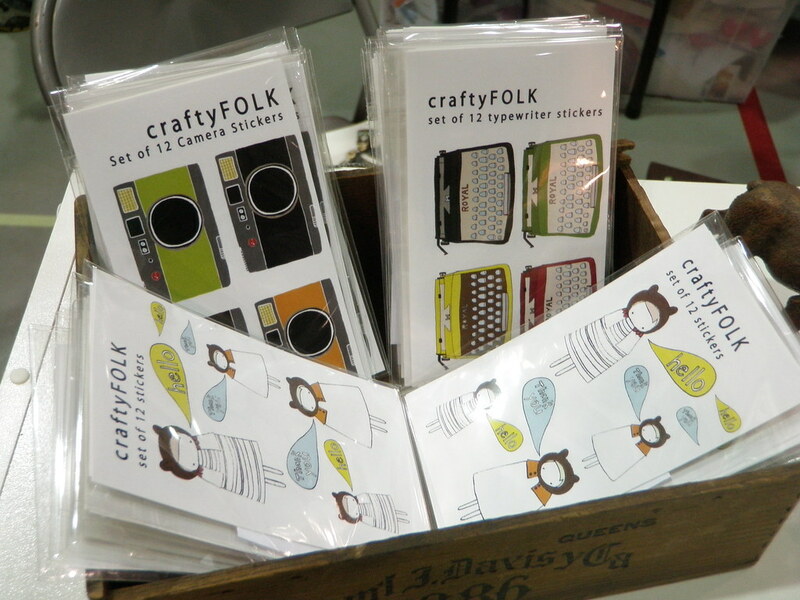 Each set of 12 cut your own stickers, Leica camera, vintage typewriter, and hello and thank you bear designs. Set of all 3 packs available for a discount here.